Barley is one of those often forgotten about grains. It is full of fiber and has a great, nutty flavor. It is very versatile! Barley is often used as a cereal grain or in a soup, but it can also be a great addition to casseroles or used as a side dish. 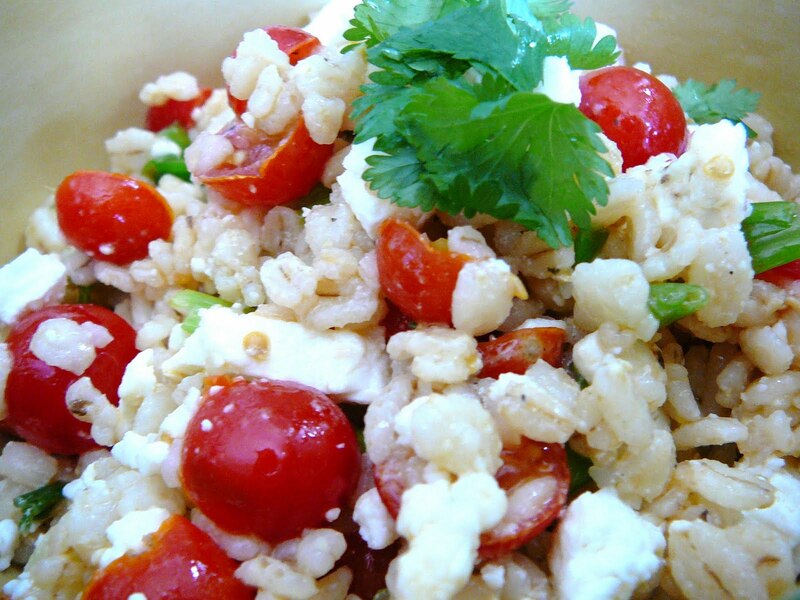 In addition to FIBER, barley is also a great source if niacin, which is a B-vitamin. Niacin can reduce platelet aggregation and can also help to reduce cholesterol levels. This salad can be served warm or cold! Bring chicken broth to a boil. Add quick barley and reduce heat to simmer, 10-12 minutes or until barley is tender. Drain excess broth if needed. Transfer barley to a medium bowl. In small bowl, mix olive oil, lemon juice, balsamic vinegar, white wine, garlic powder, and salt. Add dressing to barley and stir in tomatoes, onion, cucumber, mint, and feta cheese.